Air, Water, Rock, Ice, the backdrop to inspiring sports in Trentino, where sportspeople meet nature. Sport in nature, promoting Trentino as the No. 1 sporting destination in Europe. As a result of Trentino being chosen to host the 2013 Winter Universiade, we were asked to build on the interest in the region’s sports by connecting people to the many activities available. SPORT IN NATURE is our integrated campaign to create multiple conversations around sporting activities and events, promoting Trentino as a sports destination. MYSPORTINNATURE is the app we have designed to engage everyone who loves sport, from athletic heroes to recreational sportsmen and women. The central idea captures the exhilaration of sport in Trentino's natural environment, as well as the natural inclination of sportspeople towards physical activity. The message appeals to all ages and levels of skill. 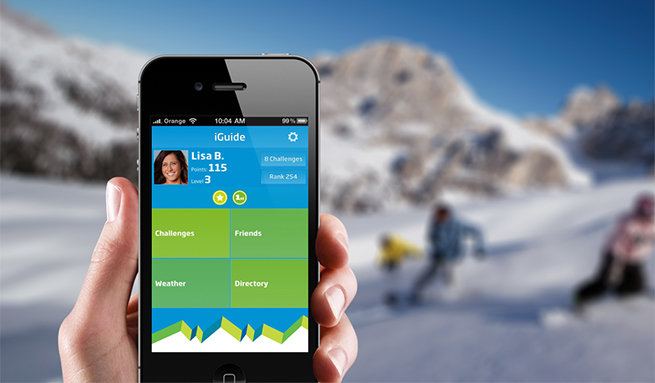 Trentino 2013 Winter Universiade is the launch pad for our campaign, including online platforms and app. 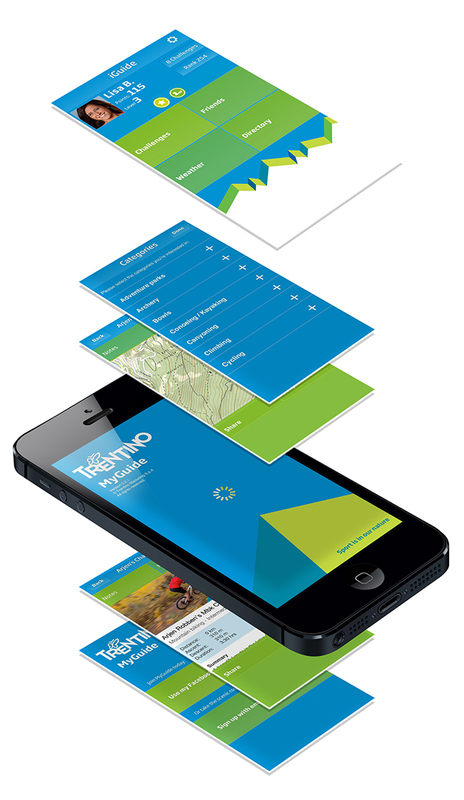 Availability of the app is to be announced during the run up to Trentino 2013, with leaflets, posters and website banners directing users to where it can be downloaded. VisitTrentino as well as 20 separate regional tourist websites are featuring the campaign. We are developing a dedicated website to promote sporting activities and events in the region. Using our bespoke Content Management System or CMS, we can customise main page promotions and menu items, event calendars, blogs and comments with links to social media, including rss feeds of sport related activities. The new website pulls together social content from across the internet specific to sport in Trentino, as well as providing streaming of specially commissioned videos and animations. The title sequence called ‘Air, Water, Rock, Ice’ captures the backdrop elements to the sports, whether skiing, mountain biking, gliding, hiking, sailing or mountain climbing. 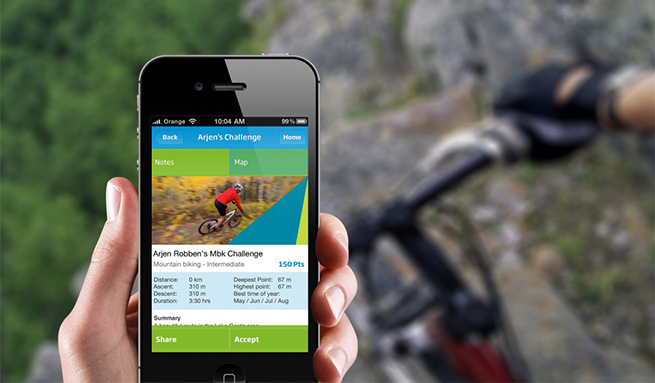 The MYSPORTINNATURE app works as a personal guide to taking part in challenges set at different levels across various sports. 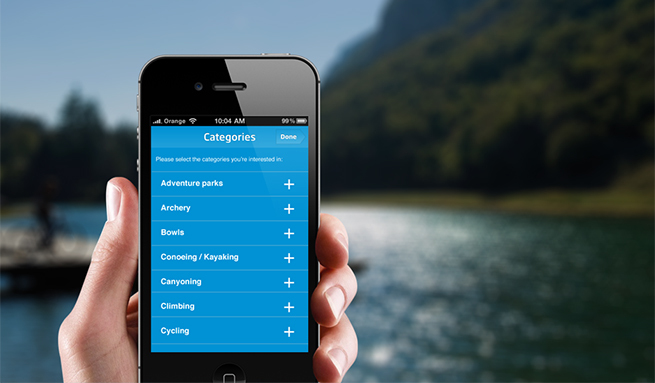 Users log in, giving details about sport preferences, ability, and fitness along with other information. The challenges are designed to match users’ abilities, with easy, intermediate and championship levels, as well as actual course records against which to measure performance. The app can be updated with new championship results or courses. Specific challenges can be set for a section of a mountain bike track or piste, identified by Google Maps and by signage on the ground. 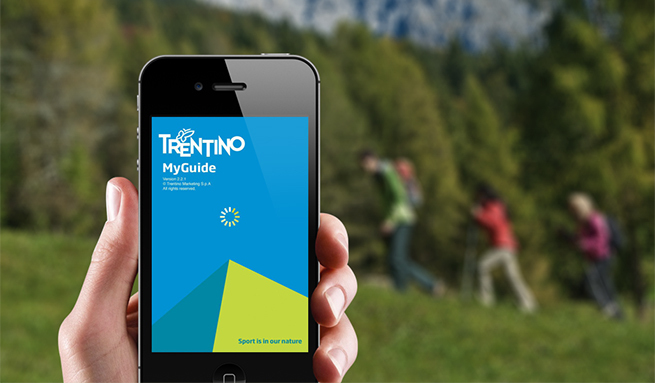 QR codes provide further information about the course, Trentino and areas of interest across the different valleys. 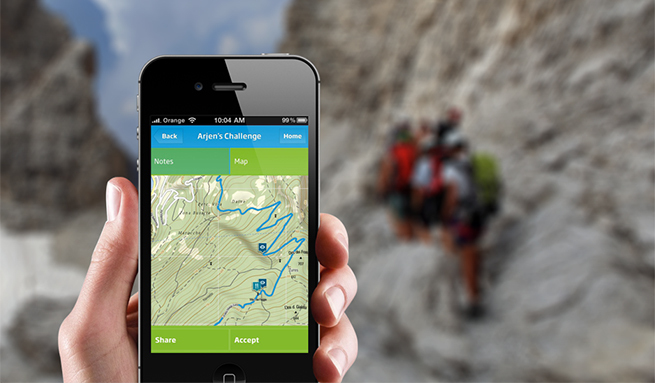 GPS technology tracks position and time taken to complete the course, which are then recorded with the option to share with friends who can make their own challenge if they wish. As a special promotion, souvenir gifts can be won on certain days during the year. Taking part is being part. The project is currently ongoing and Minale Tattersfield are working with Trentino's specialist teams to simplify and re-design the experience of their multiple on-line conversations and create a unifying look and feel and interaction language across all platforms.